You could be wasting money with every widget you ship. Look for a fulfillment provider that asks questions. These are the providers that will create a customized shipping plan for you, one that will help you find ways to lower your shipping costs by pairing you with the right packaging and the best carrier suited to your specific needs. You want a fulfillment provider that will help you ship for less. A fulfillment provider will look at your product and packaging and determine if they can utilize one of their more cost effective containers that have worked well for other customers, thus reducing the weight of each package shipped. Because package weight is a big part of shipping costs, they will look for ways it can be reduced in order to save you money. Not all fulfillment companies are transparent. Does the fulfillment provider have their per order and per item fees listed on their website? If so, and you know your product is ready to launch, ask for a bigger “quantity shipped per month” discount. 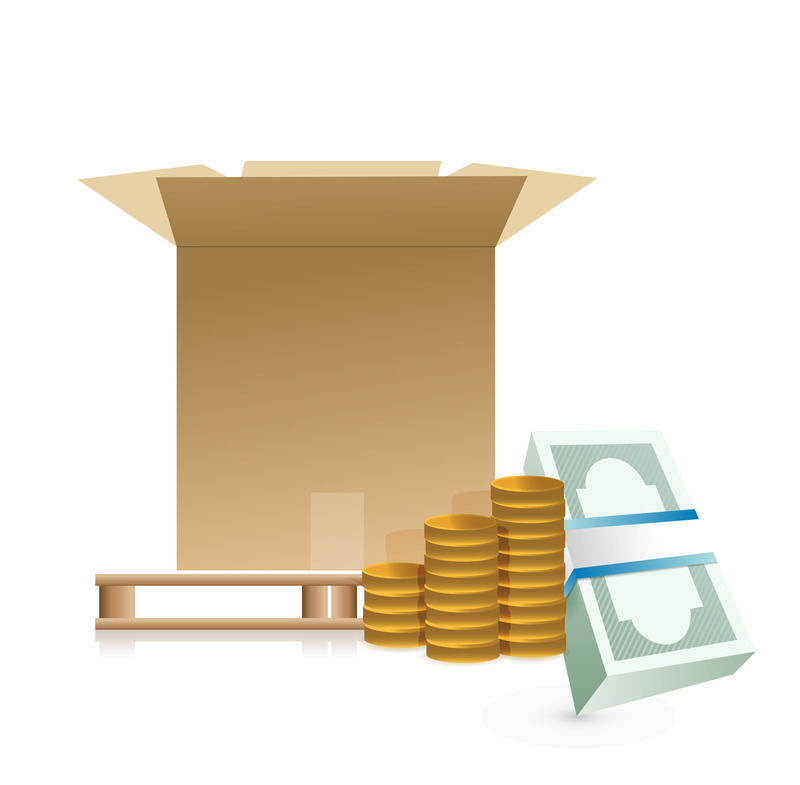 By the time you are shipping the required number of units per month, you will have saved money. Once your monthly orders exceed the quoted costs, you will already have the lesser shipping costs in place. Your fulfillment provider should desire to be your fulfillment partner, continually on the lookout for more efficient and economical ways to ship and process your orders. Exact Fulfillment is just that kind of company. They will not only warehouse and ship your product, but they will strive to be an extension of your business in order to help you develop the best shipping methods to optimize your shipping costs. Ready For Us to Help You Succeed? Start by outsourcing your order fulfillment services! Fill out the form below and we will be in tuoch with you shortly. How many different items do you sell? (1) Introduction: The terms herein described pertain to the operational and service obligations and limited liabilities of Exact Fulfillment Inc.
(2) Fulfillment Defined: Fulfillment is the receipt, storage, assembly and shipment or transmission of product or data on behalf of another party. (3) Proposals: Proposals are based on program specifications provided by the client and agreed to by Exact Fulfillment Inc. on the date of the proposal. Specification changes, prior to the acceptance of the proposal or during the completion of work, entitles Exact Fulfillment Inc. to adjust pricing accordingly. Proposals may include charges for freight, packing materials, postage, communication transmissions, taxes, pickups or deliveries, or credit card processing fees and other activity related fees that are required to complete the fulfillment process. Proposals include, but are not limited to, email communications, and phone conversations. (4) Termination: On termination of service Exact Fulfillment Inc. will be compensated in full for any work or services performed through the date that services are terminated, plus costs involved in scrapping or preparing the material for shipment, the cost of preparing a final inventory, and the cost of any goods or services purchased prior to termination. Fulfillment projects may be canceled by the client at any time by notice in writing or via e-mail with the understanding that Exact Fulfillment Inc. will be compensated in full for any work or services performed prior to cancellation, plus the cost of any goods or services purchased for the fulfillment program. It is understood that Exact Fulfillment Inc. has the right to hold all inventory until all outstanding invoices have been satisfied. (5) Postage/Freight Payments: Clients provide postage and freight charge payment, in addition to fulfillment and storage fees on a weekly basis. Exact Fulfillment Inc. may either mark-up or provide discounts to published shipping prices based on the terms stipulated. Exact Fulfillment may at it's discrection, require pre-payment of estimated fees. (6) Right of Refusal / Suspension: Exact Fulfillment Inc. may refuse at any time to handle or distribute products of any kind that in Exact Fulfillment Inc’s sole judgment is an invasion of privacy, is degrading, libelous, unlawful, profane, obscene, tends to ridicule or embarrass, or is in bad taste, or which in Exact Fulfillment Inc’s sole judgment is an infringement on a trademark, or trade name, or service mark, or copyright belonging to others, or is in violation of the FTC Mail or Telephone Order Merchandise Trade Regulation Rules, or other govenrmental regulations. In an attempt to prevent fraud, Exact Fulfillment Inc requires valid contact information, physical address, email, and phone number of it's clients. If contact information is found to be incorrect, client's account may be suspended until such a time that the information is corrected. (7) Databases: A client's databases in Exact Fulfillment’s possession, for storage or otherwise, are the exclusive property of the client and shall be used only at the client's instructions. Exact Fulfillment Inc shall provide reasonable and prudent protection against the loss of a client's data, in much the same manner that the client would itself. A minimum suggested security program shall contain utilization of anti-virus software, firewall protection and other current technologies. This includes adequate backup procedures for all files and programs. Exact Fulfillment Inc. shall pay for the cost of transferring a copy of a replacement file in the event of systems failure, loss by fire, vandalism, theft, or other such causes (excluding destruction of the data due to client's negligence or willful misconduct), provided that the client has duplicate data files or has the source material from which the client can compile replacement data. Exact Fulfillment Inc. shall not be liable for compiling such data nor for any intangible or special value attached thereto. (8) Client-Provided Materials: Exact Fulfillment Inc. assumes that all materials provided will meet manufacturers' specifications as stipulated in the proposal referenced in paragraph (3) above. Materials which do not meet manufacturers’ specifications may be subject to pricing at special rates. Client will be notified when a deficiency is discovered and approval will be obtained for handling at special rates before proceeding with work, and a new delivery schedule may result. (a) Client is expected to provide Exact Fulfillment Inc. with sufficient inventory or adequate sources of supply to meet anticipated demand. It is also required that the Client provide advanced notification to Exact Fulfillment Inc for large inbound shipments. (b) Collect shipments are accepted only if client obtains prior written clearance from Exact Fulfillment Inc. and, in such event, a service charge may be added to the actual freight charges. (c) Each incoming carton or skid must bear an identity, item code, quantity and a sample clearly visible. Each carton or skid must have only one material version, unless clearly marked and separated. Multiple items should not be included within a single carton, skid or container unless noted thereon and on accompanying paperwork. (d) All items must be clearly and accurately coded. Exact Fulfillment Inc shall not be responsible for picking and packing errors which result from the erroneous marking of items or the client's failure to code them. (e) Delivery tickets must accompany the material delivered, and should show the number of skids or cartons, the quantity per skid or carton, the corresponding item number, and the total delivery quantity. (9) Spoilage, Counts, and Shrinkage: Exact Fulfillment Inc. is not responsible for normal spoilage of material that occurs naturally during processing. (a) If Exact Fulfillment Inc. is not authorized to perform counts of the literature or products received, nor is there independent verification, then no realistic shrinkage expectations can be developed and Exact Fulfillment Inc. is not responsible for inventory shrinkage. (b) If Exact Fulfillment Inc. performs test counts, spot checks and weight counts, the industry standard for shrinkage is 5% to 10% of printed material received and 2% to 3% of products received. (c) If Exact Fulfillment Inc. has been paid to count/verify valuable items on receipt and to maintain the counted material in a special secured environment, the standard shrinkage allowances do not apply, and Exact Fulfillment Inc. is responsible for losses that could have been prevented by exercising reasonable and prudent care. Any liability for losses that Exact Fulfillment Inc. assumes is limited to the manufacture cost of the materials and does not include indirect or consequential claims, such as loss of sales or opportunity. (10) Packaging: Unless otherwise agreed upon, prices quoted assume usage of Exact Fulfillment Inc. standard cartons, envelopes, and packaging materials, including, but not limited to carrier provided “free” packaging. Custom or specified materials may involve additional materials and handling charges and longer lead times. (11) Excess Materials: Absent specific instructions from the client on the disposition of excess materials, Exact Fulfillment Inc. may collect reasonable storage charges. If the client fails to respond to a disposition request and fails to pay applicable storage charges Exact Fulfillment Inc. may, after 60 days, destroy the stored material. (12) Order Processing and Delivery Schedules: Exact Fulfillment Inc. is not responsible for failure to meet agreed on processing schedules if such failure can be traced to fire, accidents, acts of God, mechanical breakdown, acts of terrorism, failures on the part of the U.S. Postal Service or other common carriers, or other events that are outside the control of Exact Fulfillment Inc.
(13) Insurance: Client retains title to and the insurable interest in its materials. Exact Fulfillment Inc. is responsible only for losses that are the direct result of its own willful or negligent acts. Supplemental insurance is the responsibility of the Client, and is highly recommended for coverage against fire, flood, and theft. Exact Fulfillment Inc will not be responsible for loss of goods not covered by supplemental insurance. (14) Errors in Fulfillment: Exact Fulfillment Inc. is responsible to correct misdirected or erroneous shipments provided the errors were expressly the fault of Exact Fulfillment Inc.. Its liability is limited to the cost of re-shipping a corrected order or, at Client’s option, retrieval of the material shipped at Exact Fulfillment’s expense. Exact Fulfillment Inc. is not liable for loss of business or incidental or consequential damages or costs. (15) Delinquent Invoices: If money is owed Exact Fulfillment Inc. it may, at its option, hold the order for processing and shipping, until past due payment has been received. It may also hold the client's data, materials, or other property against payment of delinquent invoices. "Delinquent" is defined as "one week beyond the specified invoice date." If invoices remain unpaid in excess of one (1) month from the original invoice date, Exact Fulfillment has the right to dispose of client's property in a manner which will help to compensate for any unpaid balance owed for fulfillment services rendered, including the selling of these goods. The value of these goods will be credited toward unpaid balances. The value of these goods will be based on the discretion of Exact Fulfillment and the marketable liquidation value of these goods. Exact Fulfillment Inc will notify the client of it's intention to liquidate any remaining inventory by email. From notification date, the Client has 2 weeks to make settlement arrangements with Exact Fulfillment Inc. If, after two weeks, there are not settlement arrangements in place, Exact Fulfillment Inc will start the process of liquidating any remaining inventory. (16) Verbal Orders: Final specifications for verbal orders are those understood by the Exact Fulfillment Inc. at the time the work was completed. (a) Exact Fulfillment Inc. acting as client's agent. This includes any regulatory requirements of any governmental agency. (b) Exact Fulfillment Inc’s performance of the fulfillment function on behalf of or in accordance with specifications established and agreed upon by the client. (c) As an agent of the client, should legal issues arise in regard to client inventory or client product claims, client assumes the financial obligation of defending Exact Fulfillment Inc.
(18) Modifications to these conditions: Modification requests to this document should be sent via email to info@Exactfulfillment.com. (19) Future Updates and Modifications to these conditions: This document may be modified by Exact Fulfillment Inc without notice to client. This document is available at http://Exactfulfillment.com/TOS.htm.